The countdown is on…only 1 week until Christmas. I’m really getting excited. I know most of you have your holiday decorations up, especially your tree. Still, I’ve found so many pretty images of trees and I’m at a loss to think of any other topic besides trying to finish my list of presents to buy, things to do, rooms to clean, so here’s some online goodness of my favorite Christmas trees. No matter what size tree you manage this year, I hope you are enjoying the season and are further along on all you need to do in preparation for the holiday than me. Stop and smell the pine needles. Thanks, Marilee. You too, and a peaceful new year. Karen, Another beautiful post! I absolutely loves all the pics of the Christmas trees — especially the one decorated in all gold ornaments. Fabulous! Hope you have the best Christmas ever and I want to see a picture of Little Olivia in her new cape! I will definitely take pictures of Olivia and wonder kid. Thanks for the beautiful collection of trees. And don’t worry, I’m sure everyone is more organized than me this Christmas! Relax and enjoy! 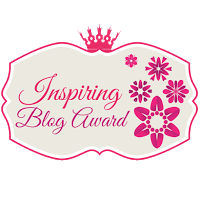 Your blog is so pretty! I love all the inspiration and joy! Thanks for stopping by. Merry Christmas to you and yours, as well. What beautiful trees! I think my favorite is the outdoor pine with snow on the branches. Too bad we’ll never see a white Christmas in Irvine! What a fabulous collection of photos – I will have to pin a few for next year.